Timeless and traditional, Letterpress is one of the oldest forms of printing in the world. The uniquely crisp impression of Letterpress is highly sought after due to its precision and old-world charm. We continue to push the possibilities of this printing method to create new and exciting results. Choosing letterpress means choosing a detailed and thorough service that makes your products special. This intricate process involves creating a custom plate of your design to imprint the ink into the card stock. Letterpress is most suitable on our Cotton and Bamboo stocks, as the soft texture allows for an exquisite, deep impression which both looks and feels stunning. Each and every order is delicately examined and produced by our master letterpress operators. We strive to provide the highest quality of workmanship. Timeless and traditional - Letterpress Printing is one of the oldest forms of relief printing, creating a crisp impression of your printed design. Order samples so you can touch and feel our premium cards. Create the most elegant and beautiful Wedding Invitations with Letterpress. Stunning both to see and feel, this traditional printing method is the perfect choice for your special day. Available in a range of stocks and sizes, Letterpress is an ideal option for all your wedding stationery. Create the most elegant and beautiful Wedding Invitations with Letterpress. The incomparable crisp impression forged by the letterpress printing process is more popular than ever before due to its razor-sharp precision and vintage aesthetics (and feel). This painstaking and comprehensive process makes letterpress one of the planet's most preferable business card printing methods, and from start to finish, not a single detail is spared. Our letterpress printing process involves making a bespoke plate of each design to ensure the ink is successfully imprinted into the card stock with the aim of developing a finish that is as pleasing to the eye as it is to the touch. Letterpress, or letterpress printing, is a method of relief printing that utilizes a printing press: a process by which a predetermined set of copies are produced by a repeated direct impression of an inked, raised surface against sheets or a continuous roll of paper. And in the world of business cards, it’s an approach that creates a host of incredible results. Having your business card ready to present to others when required demonstrates a higher level of professionalism, and even today, these miniature promotional works of art are one the world’s most effective direct marketing tools. Initially known as 'trade cards', business cards began their life back in 17th century England. As there were no notable street numbers in London at the time, these ‘trade cards’ had two primary functions: advertising and navigation - yes, they were mini maps as well as promotional tools. By the late 1800s the popularity of trade cards had spread across the country and overseas, becoming a tried and tested promotional tool for everything imaginable, from baby milk and pianos to live produce patent medicines. The business card, as we know it today, was born. Of course, over the centuries, advancements in printing and technology have transformed the business card, making it a more visually-striking, innovative and functional networking tool than ever before - but let’s not forget that it all began with the trade cards of the 17th century. A standard European business card size is 90 mm (3.543 inches) in Width and 55 mm (2.165 inches) in Height. This can vary slightly depending on your printer, so make sure to check in advance the preferred size used by your supplier. A standard North American business card size is 89 mm (3.5 inches) in Width and 51 mm (2 inches) in Height. Want to know more about business cards? Get in touch and we’ll be happy to answer any business card related questions you may have. While the term business card represents the exact form and functionality of a - well - business card (a card that is used for the purpose of business), it's a topic worth exploring, nonetheless. Traditionally, business cards are used as a primary means of business people presenting their contact information to other businesses and partners or potential customers and clients. Typically presented in a compact, rectangular format, a business card features a valuable mix of graphical content, branding and key contact details aimed at offering critical information while creating an impactful first impression. Even in the digital age, business cards are an effective networking tool thriving and in countries including China and Japan where the exchange of business cards is almost ritualistic. Business cards offer a physical way of sharing information about who you are, what you do, and what you're all about. Blind debossing can be used on almost any type of stock, however if you are choosing this method so you can print on the back side of the card, we recommend one of our 24pt Mega Thick stocks. Blind letterpress is a process used by Jukebox to achieve subtle impressions in cardstock without strongly affecting the opposite side of the stock. This creates a visual effect similar to debossing, where there is an impression made without any ink. This process does not create as deep or obvious impressions as those achieved through the traditional debossing process. Blind debossing will not produce an opposite emboss of your design on the back side of the card. You may see some slight show through on the back of thinner stocks, but this will not be an embossed effect. Can I have a full bleed Letterpress design?
. Letterpressing areas with large ink coverage will appear blotchy and you may receive a File Error about this from our Prepress team. Letterpress is intended for a minimalist look and is typically designed with ample white space. If you prefer to fill the background with designs, please do so with minimal ink coverage. For example, use patterns as opposed to a full solid colour. You may request a Custom Print Quote and submit your files to see if they will be suitable for Letterpress. We can letterpress designs with full bleed (print to the edge); however, it is highly recommended to avoid this for full covered backgrounds. Letterpressing areas with large ink coverage will appear blotchy and you may receive a File Error about this from our Prepress team. Is my design suitable for Letterpress? Please see: Setting up press-ready spot colour file. 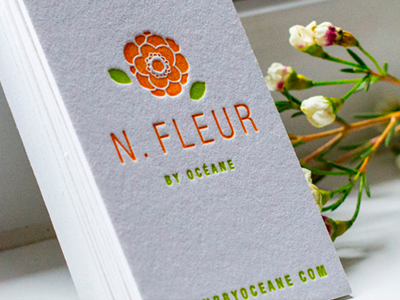 Letterpress cards are printed with spot colours – which will need to be defined in your supplied press-ready PDF file. Letterpress is the oldest of the major printing processes. It uses a plate with fixed raised surfaces and pressure to apply ink to the material. This pressure also leaves a slight indent (or relief) in the paper. As more cost-effective printing methods have been developed (such as Digital and Offset output), the usage of letterpress has declined greatly. However, the old-world charm of Letterpress has now become a highly sought-after look and feel. Letterpress is a more labour intensive process (compared to Digital and Offset output), and hence premium and expensive service. This specialty classic style output creates the most elegant pieces – perfect for wedding invites, special occasion flyers and premium business cards. Can I see a sample of Letterpress? 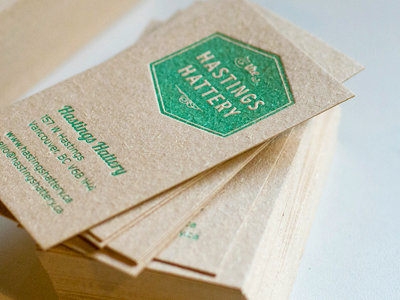 Samples of our Letterpress products are available by ordering a Specialty Sample Pack. What stocks is Letterpress available on? If you are interested in a stock that is not listed above, please request an inquiry via a Print Quote. The recommended stocks for Letterpress are the Cotton or Pulp stocks. What colours are available on Letterpress? We offer silver, gold, bronze, brass and copper for Metallic ink options. Please note, if you require White or a specialty ink colour not listed as one of our regular options, you can submit a Print Quote request for pricing and availability. What inks are used for Letterpress? See: What colours are available on Letterpress? We use high-quality offset-grade inks on our Letterpress machinery. Colour samples are for guidance only. We can offer a wide range of custom colours for Letterpress via a Print Quote. What is the finest detail possible for Letterpress? Letterpress printing is a different process for printing. As it is an older form of printing, there are some restrictions on the design. Our Prepress team will inform you of any issues. The finest detail for Letterpress output is 0.5pt line-weight. What products are available with Letterpress? Please note, the largest size we can Letterpress is 12 x 18 inches. Can colours be combined in Letterpress? Colours should be solid. Gradients, shades and colour combining can be done using colour half-tones, however this is not recommended. This is a complex process that a designer will need to set up for you. Ink colours can be "overprinted" on to each other – however as we cannot test every ink colour, the combined colour can be somewhat unknown, so it is not a recommended setup. Colours cannot be combined in the same way they are with Offset and Digital output. Can you combine Letterpress with other printing? Yes, Letterpress can be combined with other forms of printing such as CMYK Digital or Offset output. Please place a Print Quote request for this. Is Letterpress only for printing letters? Letterpress is not just for printing letters and text – it can be used to print many kinds of graphics. The name “Letterpress” is from a time when individual pieces of movable metal type (letters) were arranged and set for printing. Letterpress processes are now more advanced than this, we cast custom plates for each order which can be any combination of text, shapes and graphics. How is Letterpress different from other types of printing? It is not a CMYK print like Digital or Offset output. Letterpress is a more labour-intensive process (compared to Digital and Offset output), and hence premium and expensive service. What is the difference between debossing and blind letterpress? Letterpress is a printing process with the main purpose of adding ink - Letterpress was not designed with the purpose of making an indent, however this is a result of the process. We offer blind letterpress, which is the same process as letterpress just without using any ink - this is offered as an option to create an impression on one side of the cardstock without affecting the other side of paper like the debossing method will. This blind letterpress process is not the same as traditional debossing and will have a bit more subtle effect, as debossing will create a much deeper indentation than letterpress. Blind letterpress is useful for one ply orders since it will not show an emboss on the opposite side. Debossing is a process for making an indented image in a material, using a metal die. There is no ink involved in this process, and the die used will also create the debossed design as a reverse embossed (raised) design on the other side of the card. Can you guarantee colour accuracy on Letterpress? We can offer colour matching (and even Pantone colours) on Letterpress – however there still can be some minimal colour shift. Can I specify the amount of impression left by the Letterpress print? Although there is a minimum level of pressure that has to be used, letterpress impressions cannot be very deep like the deboss method. For a more pronounced impression, you may want to consider a deboss or emboss order. Yes, the amount of pressure used for letterpress products can be specified by adding a note during the order process. This will affect the impression left in the finished product. Please contact our Customer Service team to ensure that the note was received and to verify that it can be achieved. 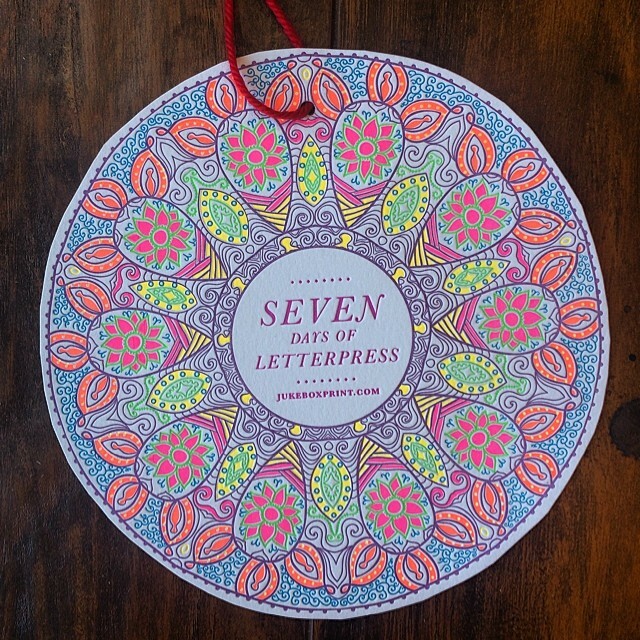 How many colours can be printed Letterpress? colours – however there are strict requirements for this type of job. For designs that have more than three colours – these will need to be requested via a custom order. Please request a Print Quote and upload your print-ready file for review. An estimator will assess your design and will notify you if we can accept the job. The use of the same ink-colour on both sides of the card is counted as two separate passes. For example, if the colour black is used on both sides of the card and magenta is used on the front side only, it would be considered as a three colour letterpress business card. We can process Letterpress jobs with up to twenty colours – however there are strict requirements for this type of job. Setting up a press-ready file for Letterpress cards is a complex process, we recommend having an experienced designer set this up for you. See: Setting up press-ready files for Letterpress. We recommend vector format graphics only. See: What is a vector. While raster graphics (pixel based) are possible – it is a difficult setup and not optimal for Letterpress printing. We can not assist with setup of raster graphic files. A slight impression may show through to the reverse side of a Letterpress output. This should be taken into account when setting up your design – especially for two-sided output. Half-tones can be used to give the appearance of gradients and shades; however your design will need to be approved for Letterpress first. In order for text to be legible, we recommend using 7pt for your font size. Although this can vary depending on the the type and line-weight of a font, it's a good benchmark for determining the font size. If you require further information, or are not sure if your design is suitable for Letterpress – please contact our Prepress line before placing your order.